Brett sure is becoming a popular chap in Aussie beer circles. Having played around with various strains of Brettanomyces in a number of beers over the years, often as part of a blend of yeasts or picked up from the atmosphere around the brewery, La Sirène has now added a 100 percent Brett-fermented beer to its lineup. 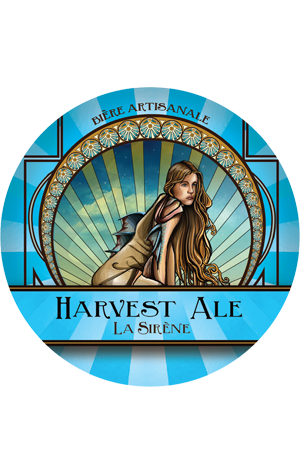 Its Harvest Ale is ostensibly a pale ale, one with a simple malt bill that allows the "wild" yeast to become the focus, albeit sharing the stage somewhat with tropical Galaxy hops. Thanks to the use of the Brett strains bruxellensis and lambicus, it has much in the way of funk going on. Sure, there's plenty of tropical fruit notes from the hops and the yeast throws off some citric fruitiness too, but get your nose in and you'll be hit by blue and washed rind cheese characters too. If that's your bag, rejoice, as the brewery is such a fan they plan to keep it as a year round keg release.